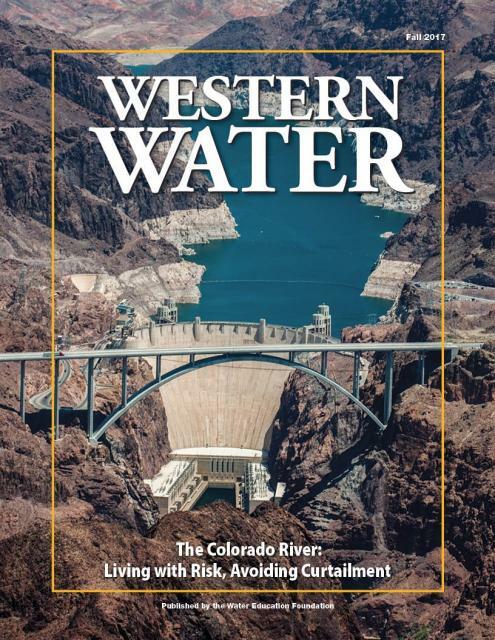 This issue of Western Water discusses the challenges facing the Colorado River Basin resulting from persistent drought, climate change and an overallocated river, and how water managers and others are trying to face the future. The American River Parkway is the crown jewel of Sacramento … It is also bone dry, and causing unprecedented headaches for area firefighters this year. A state official confirmed Friday that a potentially toxic form of blue-green algae is blooming in the San Joaquin River. It’s unknown whether this is the same algae greening up the waterfront area only a few miles away. Desperate to save plummeting water reserves in Lake Mendocino, a Mendocino County water agency is lobbying the state to dramatically reduce the amount that must be released downstream into the Russian River for fish and people. Gov. Jerry Brown last week signed legislation allowing California peace officers to cite violators of San Joaquin River Conservancy regulations. The panoply of eagles, ospreys, beavers, otters and other critters that paraded before our gaze over our nine hours (including 30 minutes for breaks) on the Sacramento River between Hamilton City and Butte City far exceeded our hopes. When you’ve got farmers and fishermen, cities and environmentalists all in the same room, plotting the future of the Mokelumne River, the discussion is not always going to be pleasant. The California Department of Fish and Wildlife (CDFW) is hosting its third speaker series with a presentation on the effects of climate change on salmon and steelhead trout in the American River. The event will be held at the Nimbus Hatchery Visitor Center in Rancho Cordova on July 17 at 7 p.m. 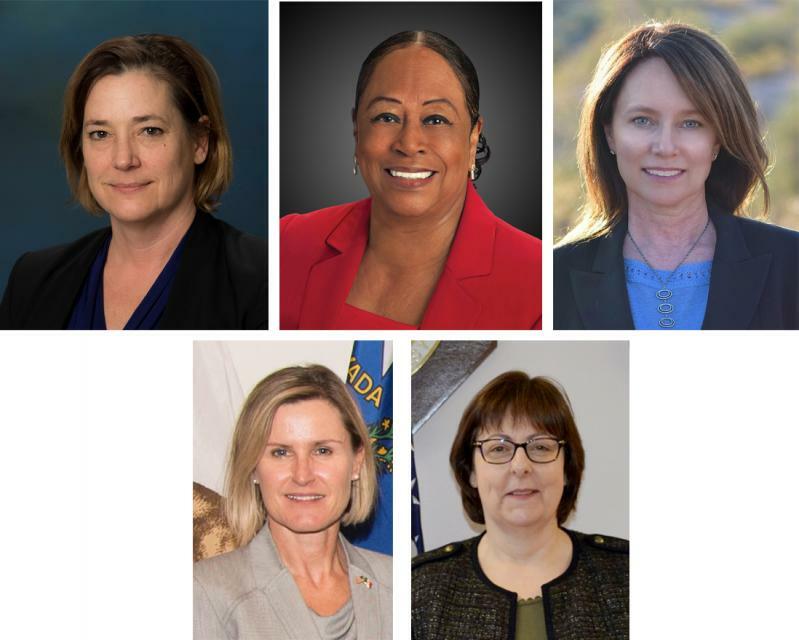 In about three years, though, a federal commission will begin reviewing an application by Pacific Gas & Electric Co. to re-license its Potter Valley Project. State officials on Wednesday issued new water curtailment orders to thousands of users and adopted emergency regulations that allow them to more quickly crack down on people who ignore orders to stop diverting water from drought-stricken rivers and streams, including the upper Russian River. Paddling the length of the San Joaquin River from Friant Dam to the Golden Gate seems an almost inevitable Valley adventure. But few people ever do it. … Now, however, an intrepid CNN columnist is kayaking the river. State water officials Tuesday will be considering new regulations aimed at cracking down on people who have ignored orders to stop diverting water from several California streams, including the upper Russian River. This is the same river route Lewis and Clark took 200 years ago, a 1,000-mile journey along the Columbia and Snake rivers and right up the musket of the American West. … For eight days we make shore visits to waterfalls, wineries, dams, fish ladders, museums and forts along the way. This week I had a chance to travel by kayak down 23 miles of the San Joaquin River just south of Mendota, CA, with CNN reporter John Sutter, who is undertaking an ambitious journey to explore the River’s entire 360 miles – from high Sierra to the sea. In California water law these days, there is increasing talk about the reasonable use provisions of the California Constitution and the California Water Code.